modeately. Have the system checked"
Do you think my car is ok? Do codes need to be reset or is this an indication of a larger issue? Please see photo attached. Thank you in advance for your feedback. You may have damaged your transfer case. AWD BMWs need to be towed on a flat bed. Sorry to hear about your troubles! The AWD BMWs are supposed to be flatbedded because of the 4x4 transaxle. Have your car thoroughly checked out by a BMW specialist, either dealer or indy. You may be okay for now, but I'm not sure of the cumulative effect it may have on your transmission. Good luck! 75 miles on that transfer case. It is gone. Take it to the dealership and have them give you an estimate of how much it will cost to fix. The towing company is liable. If you have trouble going through the company call your insurance company and they will take care of. 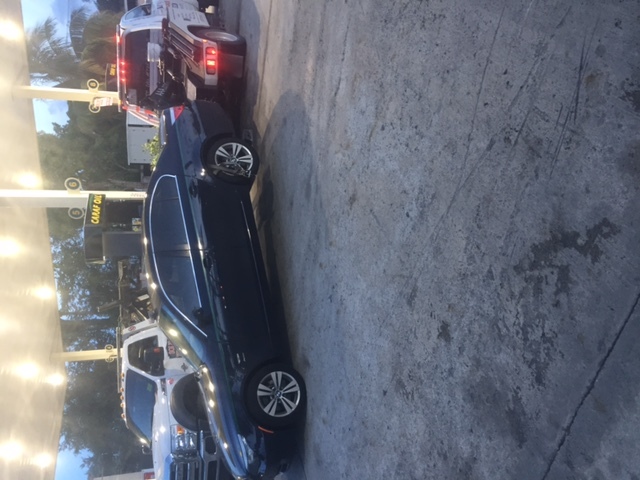 A good rule of thumb when having your car towed is to always request a flat bed that way you know your car will safe from drive train issues. I have four different cars different makes and they are always towed on a flat bed. If not a flat bed, the front wheels should have been on dollies.